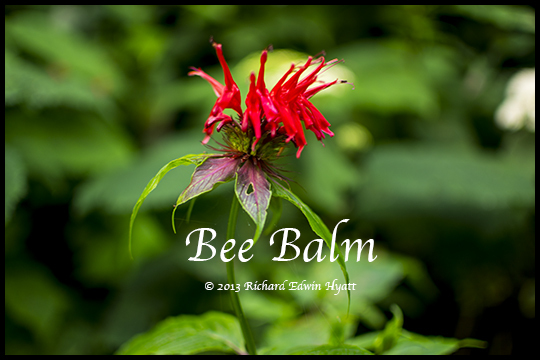 Here is a pretty flower you can find along the Clingman's Dome Road and on the trail up to Clingmans Dome in the Great Smoky Mountains National Park. It is also blooming on in other parts of the park and along the Blue Ridge Parkway in North Carolina. Now is the time to look for it. You may have to slow down on the highway because it blends into the forest edge pretty well. Even so, there are clusters of this amazing wildflower that make for a colorful scene, especially when it is mixed with yellow sunflowers in places like the Clingmans Dome Trail.